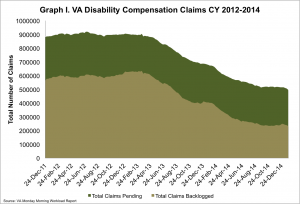 On Monday, the VA reported that the disability compensation claims backlog* decreased by over 7,000 claims last week (as compared to the week prior). 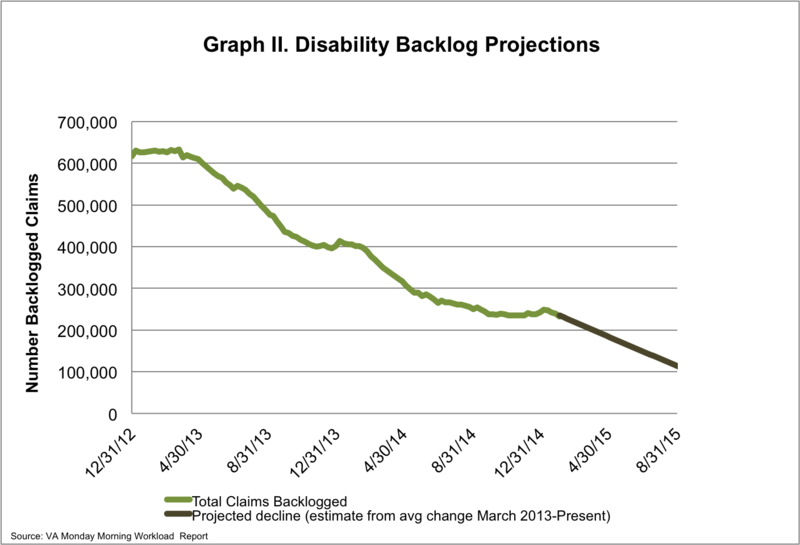 In total, nearly 497,000 claims are pending a decision, with just over 232,000 backlogged (defined as a claim that has been awaiting a decision for over 125 days). This means that nearly 47% of the claims pending have been pending for over 125 days. 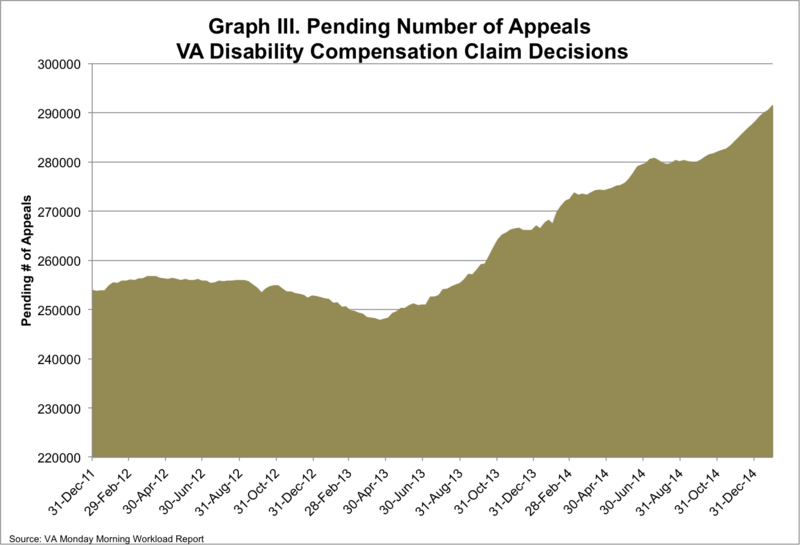 The VA also reported an increase in the number of pending appealed decisions; currently over 291,000 appeals are awaiting decision. This is the largest number of pending appeals to date, and each week that number continues to grow. 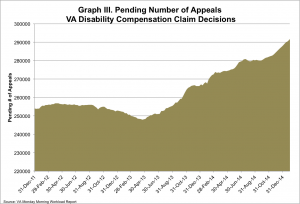 With appealed decisions taking on average over five years for the issuance of a Board of Veterans Appeals decision, this growing number of appeals is of great concern. On Thursday, January 22nd, the HVAC Subcommittee on Disability Assistance and Memorial Affairs held a hearing on the topic. The focus of the conversation was on understanding where efficiencies can be gained within the VA appeals process to cut down on the long wait times for veterans who enter the system. But also important to emphasize, the panel representing the veteran service organizations all agreed that a large part of decreasing the appeals “backlog” is a focused effort to ensure that more disability claims are adjudicated correctly the first time around. Recommendations to achieve this include changing the VA work credit system so quality of work is emphasized over quantity and that the VA appropriately resourced so that there is enough trained staff to meet the demands for both adjudicating claims and reviewing appealed decisions. 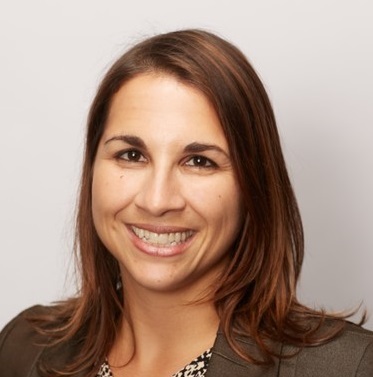 Ensuring proper resourcing is critical because currently both the Veteran Benefits Administration, which overseas claims adjudication, and the Board of Veterans Appeals play a role in the VA appeals process. As a result there are VBA employees that are critical in moving the appeals process forward. 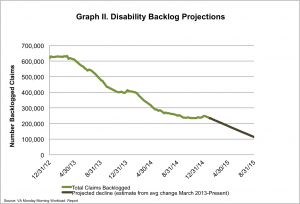 Shifting their workload away from appeals so they can focus on backlogged disability claims (which does happen) is not an effective way to support both systems. Understanding the VA appeals process is no small task. It’s a complex process with many possible twists and turns. IAVA’s 2014 Red Tape Report provides an oversimplified view and explanation of the process flow for the appeals process. It is important to understand that this process is also unlike what we generally think of when we here the word appeal, in part because new evidence can be submitted at any point. When that happens, it resets the process. Additionally, when the Board of Veterans Appeals does issue a decision, it might be a decision to remand the file back to the Veterans Benefits Administration for further evidence collection and review (over 40% of appeals were remanded in FY 2014). This can add an additional 400+ days to the appeal process and could very well lead to another cycle of appeal. So the route to a final decision can be very lengthy and winding as a result. The HVAC hearing last week was likely the first of many to take a hard look at this process and determine where some efficiencies can be gained. One idea talked about by the VA representatives as well as the VSO community is that of a fully developed appeal (based on the fully developed claim option adopted by the VA last year). There will certainly be more information on this in the coming months.